Marcus Vipsanius Agrippa was a Roman consul, statesman, general and architect. He was a close friend, son-in-law, and lieutenant to Augustus. He was responsible for the construction of some of the most notable buildings in the history of Rome and for important military victories, most notably at the Battle of Actium in 31 BC against the forces of Marcus Antonius and Cleopatra VII Philopator. He died at Campania in 12 BC at the age of 51. The most common coins featuring Agrippa were struck posthumously under Caligula. 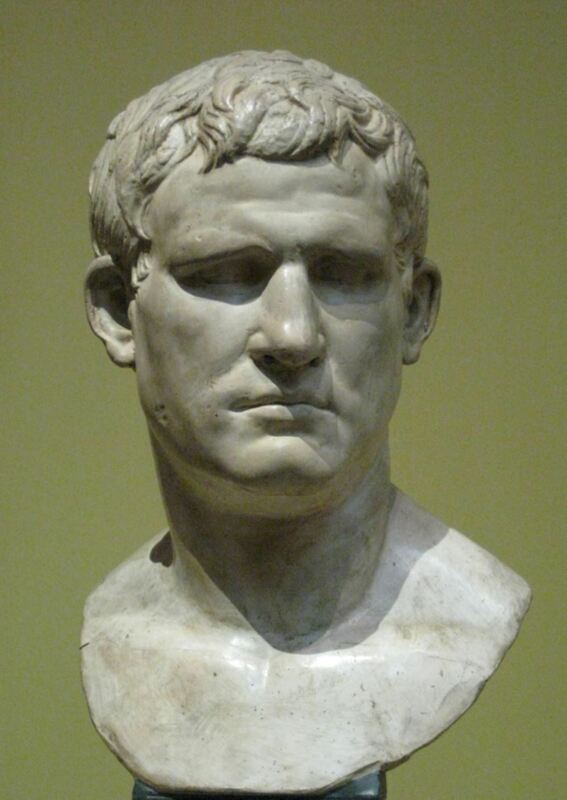 Several provincial issues also featured Agrippa, as well as a number of Republican issues.